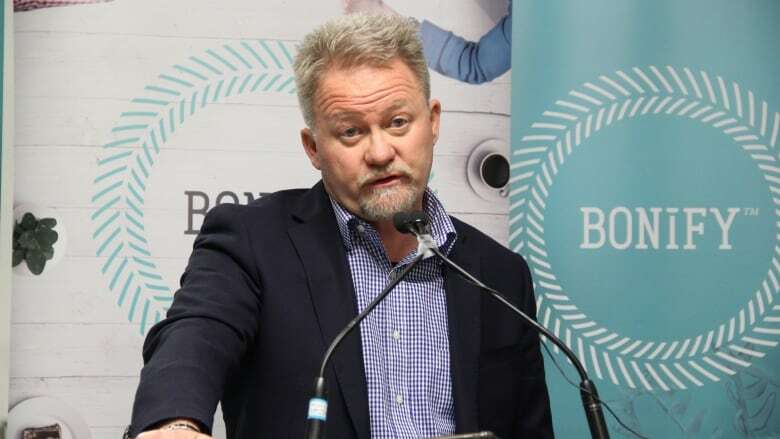 "We feel that we've already met the requirements for the sales licence to be issued, and we will appeal, and appeal with all ferverence, to suggest that we are capable of having our sales license and the suspension is unfounded," said Robinson, chief executive of RavenQuest Technologies Inc.
A redacted version of a forensic audit of Bonify practices, conducted by RavenQuest, was forwarded to Health Canada, he said. Though they can't technically sell at the moment, Robinson said Bonify continues to grow cannabis and will have a full crop ready to sell in March if they get the greenlight to resume sales. Health Canada had previously issued a recall notice for two strains of Bonify cannabis sold in Saskatchewan in December. The recall prompted the Liquor, Gaming and Cannabis Authority of Manitoba, which regulates the cannabis retail sector, and the Manitoba Liquor and Lotteries Corporation, the wholesaler of cannabis in the province, to suspend the sale of Bonify products. In response, the company called for a third-party investigation, led by Robinson, which found the company had sold unauthorized product at retailers in Saskatoon, Regina and Moose Jaw. Robinson said at the time a closer looked revealed allegations against senior management. They bullied frontline staff into staying quiet when 200 kilograms of unlicensed cannabis arrived at the Winnipeg facility, he said. Three Bonify executives were later dismissed. Health Canada said it passed the case along to RCMP. Tara Seel, a spokesperson for Manitoba RCMP, said the police service is assessing to determine if it will launch a formal investigation. "The RCMP is presently assisting the province of Manitoba by assessing the information obtained to date with respect to the Bonify matter," she wrote in an email Wednesday. "The RCMP continues to conduct a review of this information and will determine the scope of a subsequent investigation, if any, upon completion of the review." That doesn't square with Robinson's understanding of the situation. He believes the RCMP is conducting a formal investigation, and said former Bonify employees notified the company that members of the RCMP Major Crimes Unit have been interviewing them. "The reality of it is that that information now is under investigation," he said. Bonify is co-operating with RCMP, said RavenQuest. RavenQuest said it will continue to provide management services to Bonify on a one-year contract, extending the consulting firm's previous three-month contract with the producer. Jeffrey Dyck, chair of Bonify's board, said the action taken by RavenQuest has been well-received by regulators. "We're extremely impressed with the professionalism and expertise with which the RavenQuest team has methodically handled our compliance challenges, and fully expect to resume full cannabis sales activities in the near term with RavenQuest steering our production and quality assurance," Dyck said in a statement on Wednesday. "Health Canada has acknowledged the significant progress made inside our facility with respect to quality management systems. Our recent suspension was related to past issues." Asked to confirm whether Dyck was aware or involved in the procurement of the illegal cannabis, Robinson would only say another board member was removed and there are no further allegations concerning current board members. Robinson said the company has demonstrated an "exemplary and spectacular inspection process" and the recent controversy isn't a reflection on staff. "What fundamentally changed is a senior management team came in and made some bad choices and forced upon the organization a culture change that now led us up to this point," he said.